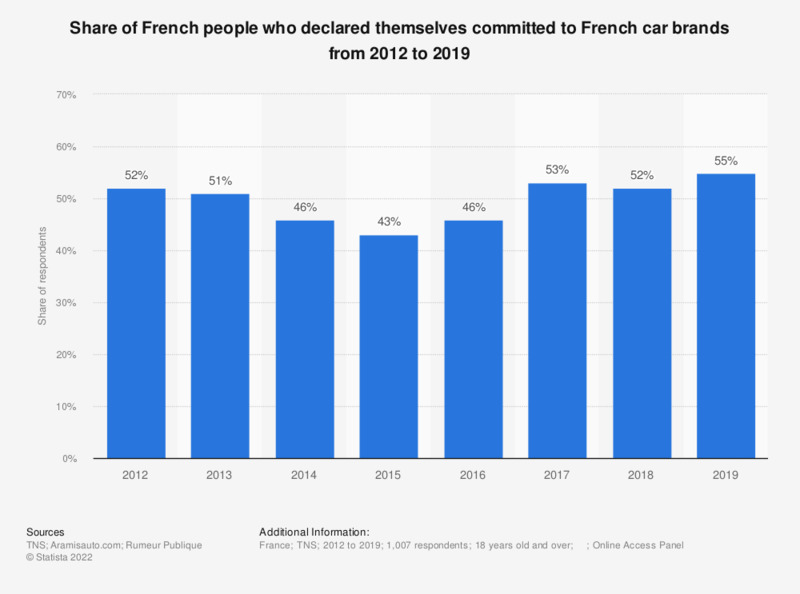 This statistic shows the share of French people who declared that they were attached to French car brands from 2012 to 2016. In 2013, more than half of the respondents said they were attached to French car brands. The question was formulated by the source as follows: "Would you say that you are committed to buying a French car? "